These Full Size DisplayPort Male to DVI Male Cables are directional. What this means, is that your PC must have DisplayPort and your Display has DVI. 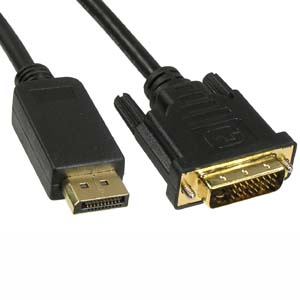 If your Display has a DisplayPort connector only, then you would either need to have a DisplayPort or Mini DisplayPort connector on your PC. The other option would be to get an active converter (which we do not currently carry).